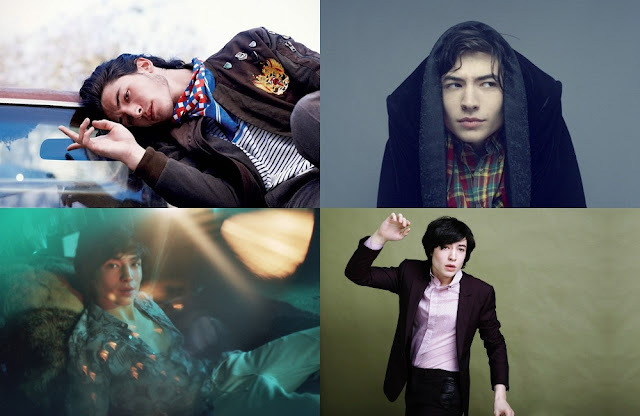 Cinematic Paradox: The "I Love Ezra Miller" List. The "I Love Ezra Miller" List. Forgive me, I didn't know how I could title this post. Because I don't really have any particular reason to post this post, apart from the fact that I do indeed love Ezra Miller. Okay, so I'm doing this to 'celebrate' the long-awaited release of his debut film Afterschool, which first came out at Cannes in 2008, but has only just come out on DVD here four years later. Heck, I was in primary school when this movie originally came out. Which makes me feel kinda old. Oh well. The film itself didn't really warrant a full-length review from me, but it was worth a few words. So, I guess I can thinly veil what is basically an excuse to write about Ezra with promoting a little seen film. Along with a whole lot of his other little seen films that I think deserve a few words. What we have here is just a random list of all of the films I've seen him in - let's just say that it is a 'timeline' of his rising star status. Because I'm hoping that this guy becomes the next big thing. 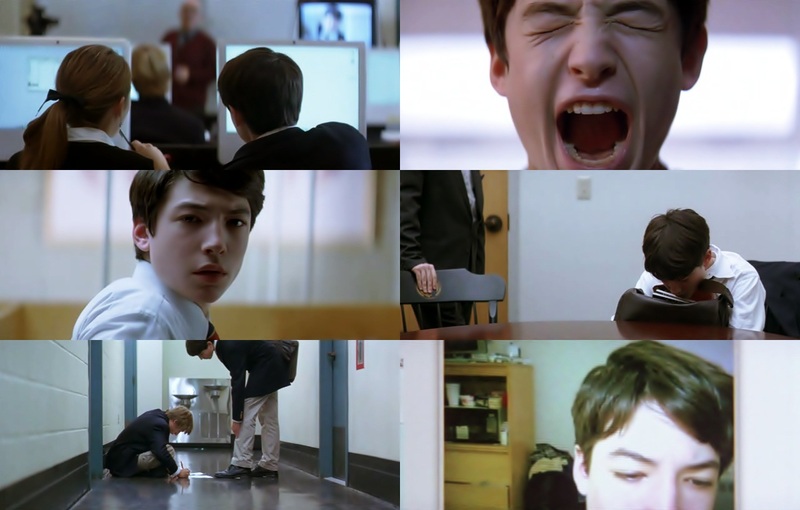 Afterschool is a strange little film, heralding the feature debut of director Antonio Campos and of course Ezra Miller. Shot on a shoestring budget with a grainy camera, the film takes place in a boarding school, where Robert captures on camera the death of some twin sisters that go to his school. Throughout the film, we see the way everyone reacts to the deaths, before eventually finding out the truth to what really went on. This is a film which has a lot to say, mainly about children and their gadgets, but also the decisions that children make. However, while it has an interesting enough story, the movie wasn't very exciting. It was very much a 'beginners film': endlessly experimental but often losing focus. Which is kind of a shame, because I would have liked to see this film go much further than it did. 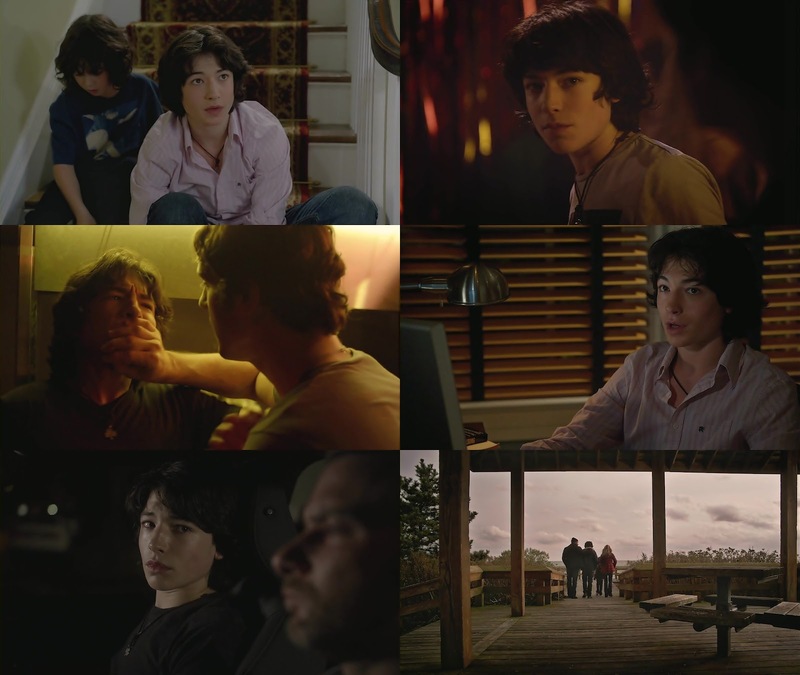 Ezra's performance was brilliant, though, considering how young he was and how demanding the role was. City Island (2009) - Vince Jr. I do love films that take me completely by surprise, and City Island was one such example. When I picked it up out of the preview drawer, I had no expectations or idea of what it was about, but I came out the other end smiling. It is a pretty crazy movie, centred around a family that is filled with people that have things to hide in one way or another. Vince (Andy Garcia) has acting classes and the fact that he's just brought his estranged son Tony (Steven Strait) into the house; his daughter Vivian (Dominik Garcia-Lorido) isn't the prized college student that her family thinks she is - she is really a stripper; but little Ezra Miller gets to played Vince Jr., who has a strange fetish for well, fat people. This film is absolutely hilarious, but still manages to be quite heartfelt. And Ezra shows off his comedic side, even though he's still dipping in the strange waters of teen life like he does with all of his other roles. This isn't my favourite performance of his, but it is definitely my favourite role. He kills it. I admit, I wouldn't have watched this film had Ezra not been in it. It has been in the preview drawer for over a year now, and I've flicked it away every single time I saw it. But then when I was sifting through Ezra's filmography, I saw that this was one of them and thought "that looks vaguely familiar". All of a sudden, that little old preview disc went from being zero to hero. Well, kinda. So the movie wasn't fantastic - it was just an average look at an American family who has a few problems. But not the City Island kind. Just the average kind. It lacks a few dynamics that make a family dramedy work, and I've decided that since I Melt with You that Carla Gugino popping up in films annoys me to no end. 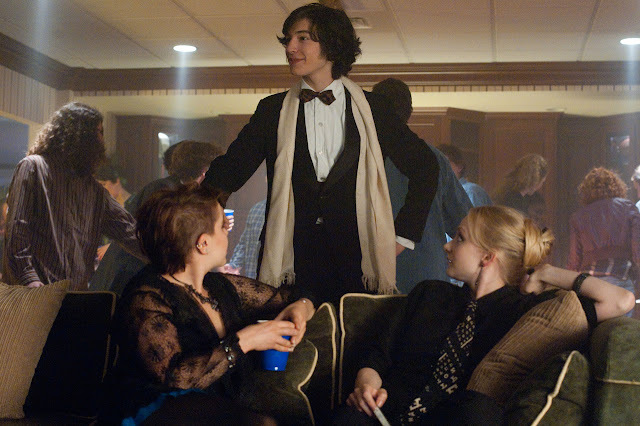 Ezra is still pretty good though, playing Jonah, a gay teenager who is constantly trying to win his father's approval. I just wish his character was given a little more insight, but it was nice enough to see him in a role which I'm sure he'll expand on in The Perks of Being a Wall-Flower. I vaguely remember this movie dropping late last year, with a whole lot of people rallying behind Ellen Barkin to get some Oscar recognition for her role. Quite frankly, I thought her performance was extremely over-the-top. Just like the entire film. It is another one of those American-families-with-problems, this time set at the wedding of Ellen Barkin's estranged son. We have Ellen Burstyn playing the constantly upset matriarch, Thomas Haden Church as the supposedly dodgy ex-husband, Kate Bosworth as the suicidal daughter and Demi Moore as the slutty stepmom. And then there's Ezra, who plays a really stuffed up teenager who does stuffed up stuff, but we never really know why. I couldn't really get past Barkin's annoying performance/character or the constant yelling that went on without that much meaning. On a completely vain note, though, Ezra was pretty damn fiiiiiiiiine in this movie (his performance was pretty good too, but his character annoyed me). 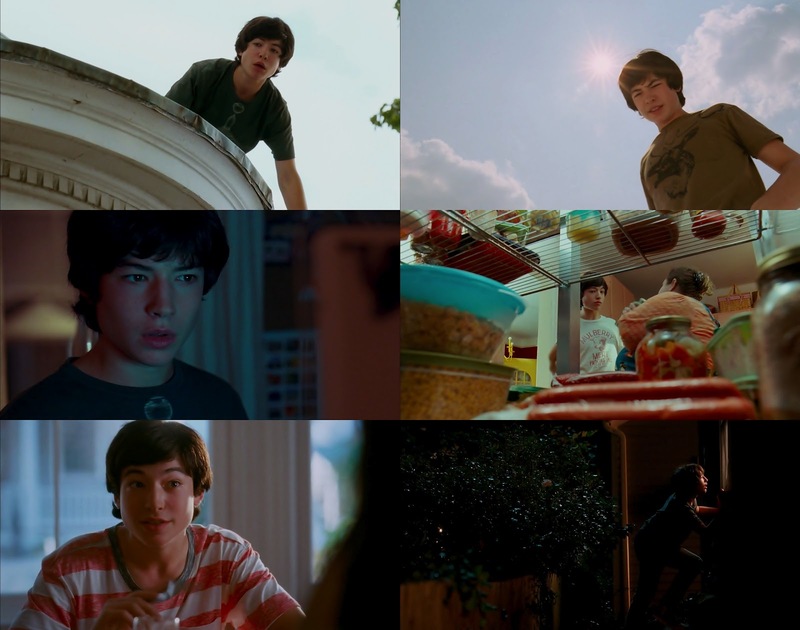 A.K.A the movie where everyone kinda realised who Ezra Miller was and the reason why I'm in love with him. Which is weird, because my love for him is based on a movie in which he plays a demented killer. But there's something so...alluring about him. Not the character and his mindset, but just the way Ezra walks and talks in it. I don't really know what else to say here that I haven't already said, other than that this is my favourite performance of his, and definitely my favourite film of his. And I'm not just saying this because I think he's awesome, but here is where we really saw how far his talent can go, and that he's going to be an actor that we should all be watching closely from now on. I have big hopes. For now there's just The Perks of Being a Wall-Flower, which comes out in a few months (probably a few years here). As much as I love Ezra, I hope it isn't nine hours like it was in the dream that I had last night. Next year he'll also be starring in Madame Bovary opposite Mia Wasikowska. In between times, he'll probably just be a bloody interesting person. And yeah, I shall stop now before you all start thinking I'm mad. Have you been impressed by Ezra in any of the films you've seen him in? Any other rising stars you have your fingers crossed for? I don't know if I'm lucky that I have only seen him in We Need to Talk About Kevin cause I can kind of think of it as his first role-role. But The Perks.. waiting for that eagerly, I finished the book in one sitting!! Why is he gay? Why? This is affecting me almost as much as when I found out about Ian McKellen. I was much more surprised that he hadn't come out. It's like the Frank Ocean situation though - whatever sexuality they are, they're still as awesome as hell. And continue fancying away, no problems in that! On the topic of the post, great as always Stevee. It's funny because I had a slight 'crush' on Miler after watching Afterschool when it came out, before even watching the film (hence why I was trying to scout it out for so long, and eventually found a copy of it on the net a few months later). *Miller before even watching Afterschool. Argh, hate when I type something and it doesn't make sense! Well I've only seen him in one thing, and I thought he's like those exquisite straight beauties, idk. I thought he was like the Ben Whishaw of our generation. Of course Ben Whishaw is still not the Ben Whishaw of his own generation yet, but that's besides the point. He is gay, but then again, he said that he is "very much in love with nobody in particular". He swings both ways. I like that. He's still as awesome as hell. I have had a slight crush on him since I saw City Island at the start of last year, but didn't think anything of it until I saw We Need to Talk About Kevin. He was so cute in Afterschool. Sometimes I miss "Baby Ezra". I can totally see the connection between Ezra and Ben Whishaw. He was good in We Need to Talk about Kevin, but it wasn't amazing enough to make me seek out his stuff. But i've been known to completely change my mind on a actor/actress from 1 performance, so a future role of his could end up wowing me. As for rising stars i like...well, i don't now if she is rising but Kat Dennings impressed me enough in Thor. I felt like her character could have easily come off annoying..but didn't, to me anyways. I checked out another movie of hers called Daydream Nation. She was great in it, but unfortunately the movie was a mess. And i'm still waiting for Deborah Ann Woll to get some awesome roles.I checked out the Mothers Day remake, and though her part was small think she gave a great performance in it. Who knows? He'll probably pop up in a whole lot of other films you stumble across. Kat Dennings is awesome. I was wondering about Daydream Nation, as I was kinda interested in the trailer they showed at work. I'm sure we had a preview of it, but I'm not sure where it went. Deborah Ann Woll is pretty awesome. I hope she gets some great roles, too. I've only seen We Need to Talk About Kevin, but I have been wanting to see City Island and Another Happy Day for some time. I really should watch them soon. City Island is awesome! And check out Another Happy Day and tell me what you think. I have a feeling that movie could stir up some intense conversation. Great write up of a seriously underrated actor. I loved both Afterschool and Another Happy Day and I loved his work in them. The scene in Another Happy Day when he pushes Barkin to ground was really quite effective. Thanks! Glad you've seen Afterschool, too. And yes, that scene was quite effective. There were a few effective scenes in that film, even if it wasn't an effective movie to me.